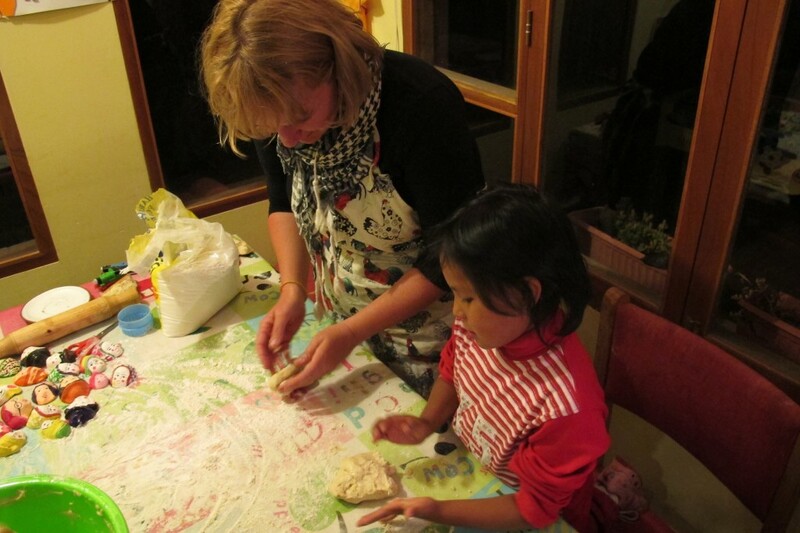 With a bread recipe from a high-altitude baking book, a massive sack of flour and 10 pairs of hands to knead the dough, Doug and I were introduced to our first session of baking T’antawawas for Todos Santos at the Casa Mendoza-Donlan. 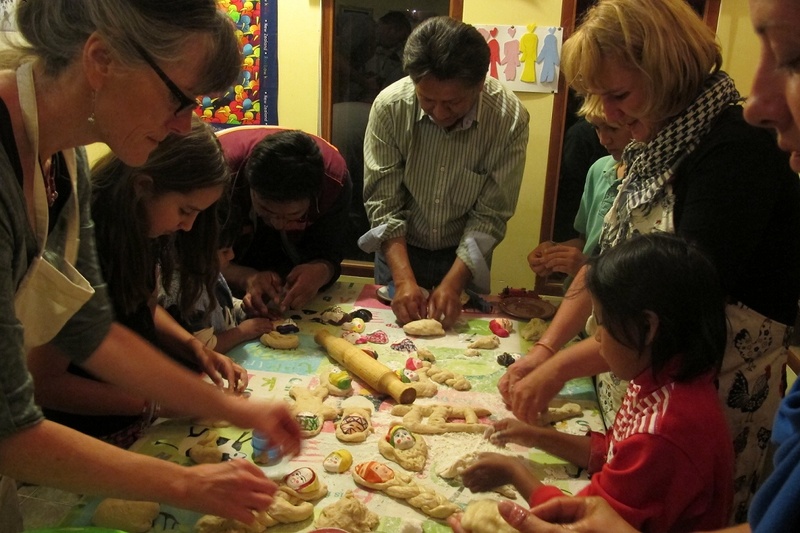 The founders of Up Close Bolivia where we are working, Emma Donlan and Rolanda Mendoza and their children, our volunteer comrades, Paula and Jeremy, a neighbourhood family and Doug and I, spent the night baking reminiscing and having a million laughs. 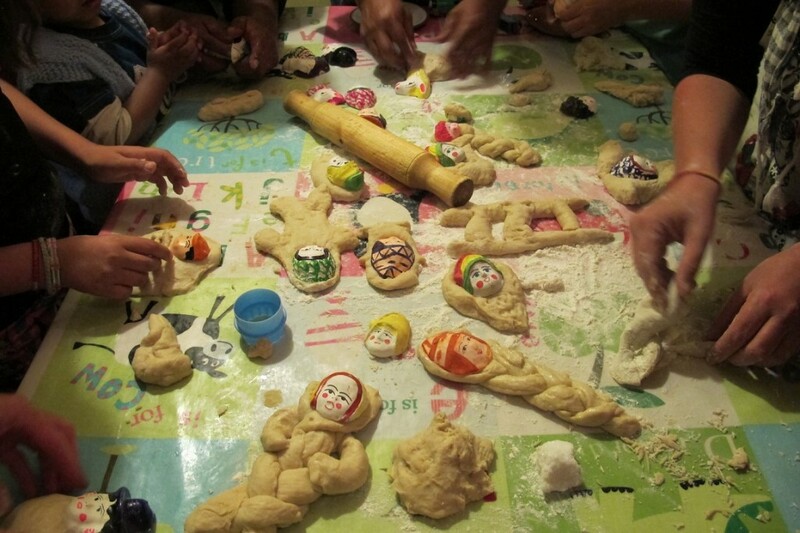 Emma and Rolando prepared the baking table and traditional foods to eat while we mixed our dough. Choclo– Andean large-kerneled white corn was steamed and served drizzled with oil, Crema Zapata- pumpkin soup was served with Irish Scones, in memory of Emma’s ancestors. And, of course a typical Bolivian cocktail made with a grape-based liquor similar to grappa. We didn’t really have any traditional foods to offer, but Doug and I shared some carrots we had smuggled into Bolivia with us from our garden! Mum’s the word on that one! I made my first-ever batch of high-altitude bread using a recipe called “Peter’s Favourite Bread” from a high-altitude cookbook produced in La Paz. Coincidentally, it was the exact same recipe I was given by a friend years ago, but that one was called “Best Ever Bread.” Not sure why this particular recipe is considered “high-altitude?” It did take quite a lot longer to rise, but made beautiful bread in the end, thank God! Being a chef, the pressure was definitely on! 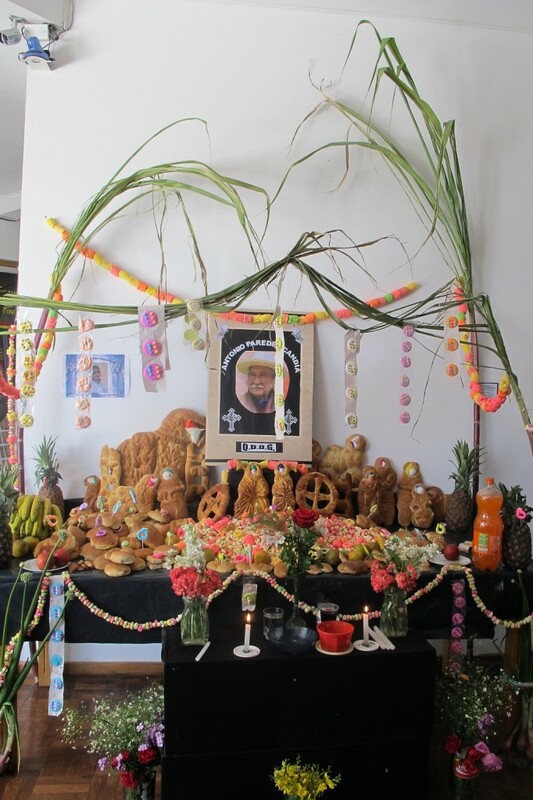 Todos Santos or All Saint’s Day is celebrated in Bolivia on November 1 and 2, but most of the festivities take place on November 2, which is also known as All Soul’s Day. 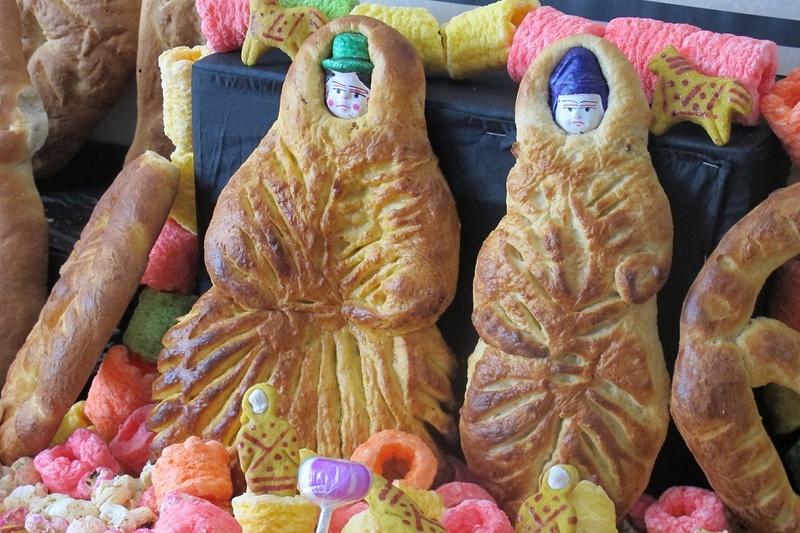 To celebrate lost friends and family, Bolivians create an apxata or mesa difuntos , an offering table, laden with the favourite foods and drinks of the dead. 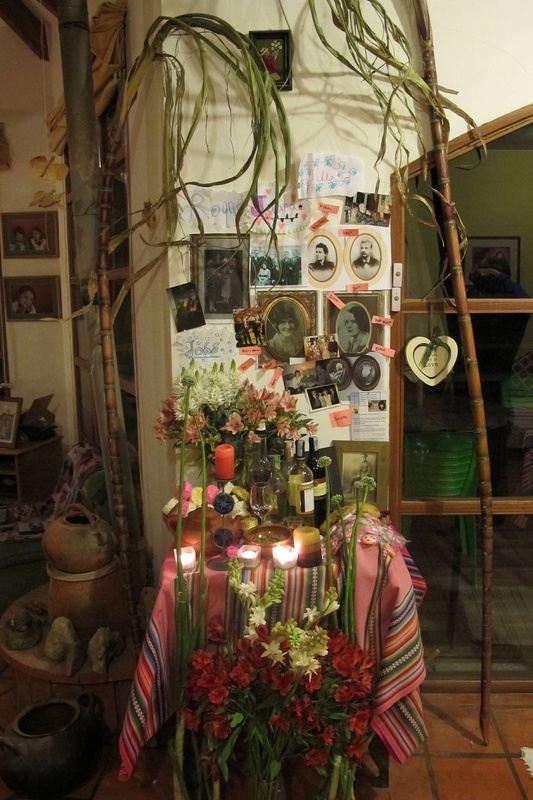 Included in the table are sugar canes and flowering onions, wheich are believed to draw water from the earth to the almas, or spirits above. Emma laid her table with traditional foods, which included tequila, in memory of her dear friend who loved doing shots of tequila and a dish of dog food for their much- loved and missed faithful dog. It is believed that the almas visit the homes of their relatives from noon on November 1 to noon on November 2 to feast on the offerings. 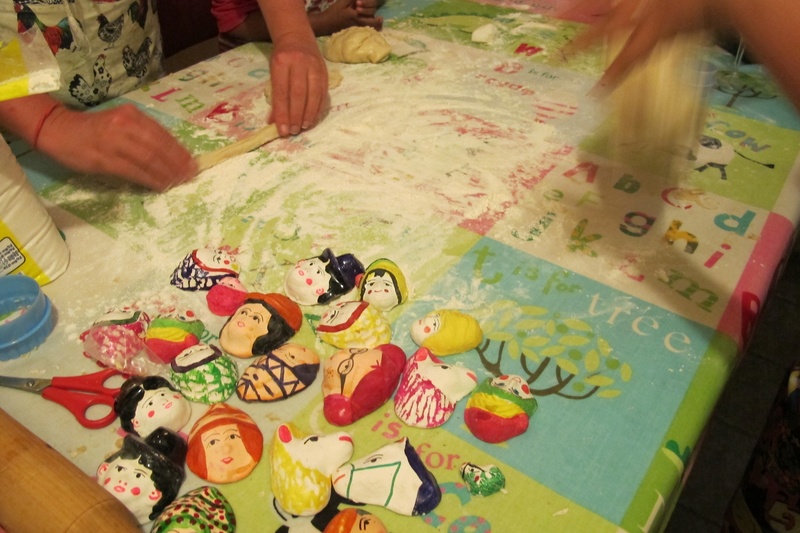 On November 2, Bolivians visit neighbours who share food and drink from their tables. They also visit cemeteries, where they have picnics, dance and play music. 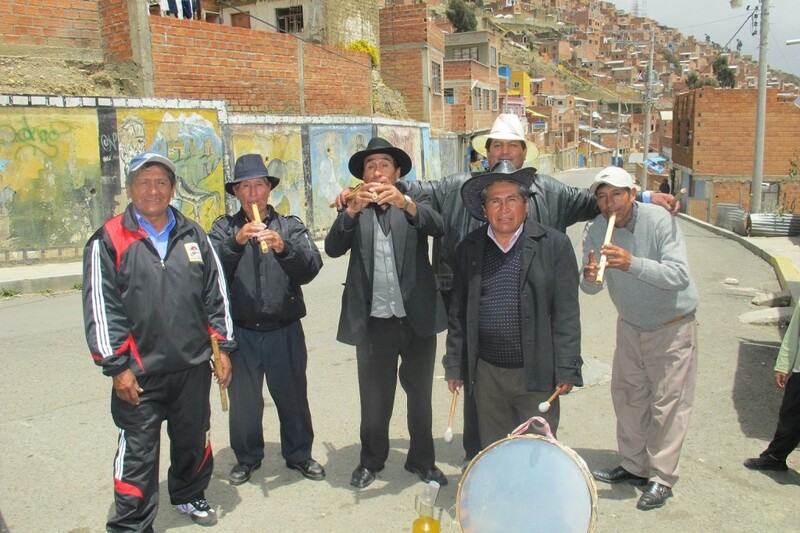 All around La Paz, we heard music and saw small bands of men playing Andean flutes and drums and women in traditional dress travelling towards the cemetery. The men seen here were well on their way, sharing a bottle of hooch while playing music for passers-by, before hopping on the bus to the nearest cemetery. I am now on a mission to search the Mercado in La Paz for the little clay faces, so that we can make t’antawawas next year on Todos Santos! 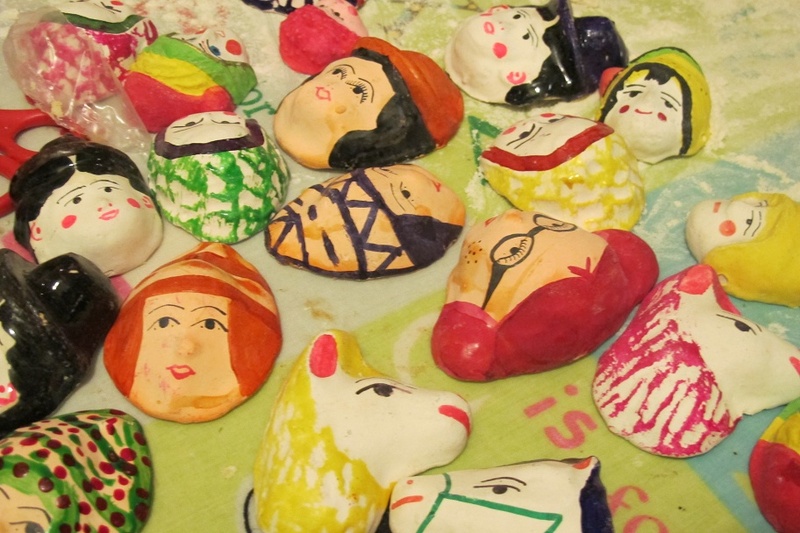 Our visit to the Museum of Indigenous Art, El Alto, Bolivia. good on ya mate’es! Looks like way more fun than a table of forceps and red gauze. The blog is really appreciated! Loved your pictures of Bolivian life and celebration! Look forward to your high salt desert journal. Sent from cool, waiting for snow in the valley bottom, Windermere.